Palm Beach Property Insurance Claim Denied? 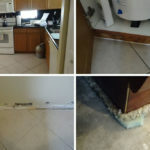 Home » Insurance Claim Denied? Denying your insurance claim is a numbers game for insurance companies. You have to understand that your insurance company is not necessarily your friend. 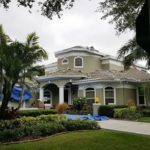 Did you know that you can hire a public adjuster in Palm Beach to protect your personal interests? Don’t walk away from what you may be entitled to under your insurance policy. After all, you pay a high monthly price for that insurance coverage. Public insurance adjusters are insurance claim professionals that you can hire to represent you for the purpose of documenting and negotiating your insurance claim. Company/staff and independent adjusters are hired, paid by and report only to the insurance companies, not policyholders. Call us to evaluate if your claim denial was unfair. We have experience and resources available to turn your claim around. A Florida insurance claim must be paid or denied within 90 days after receipt of the claim. Take Action Today! !